If jailbreaking isn’t your cup of the tea but you still want to have Cydia like features, you can install Mojo installer on your iOS 10 without Jailbreak. Even though iOS 10 Jailbreak is here but it’s still not stable enough for an average user. You can install Mojo installer on your iOS 10 devices without requiring any Jailbreak. If you install Mojo installer on your device you get Cydia like functionality for your device. Since your device is not jailbroken, Mojo Installer on iOS 10 still has to face some of the restrictions imposed by Apple. However, it will let you download most of your favorite apps and get much of the functionalities. As they say, something is better than nothing, Right! Mojo installer on iOS 10 devices is similar to Cydia as it lets you install different apps on your iPhone/iPad. In the void caused by a stable iOS 10 Jailbreak, many alternatives for Cydia have sprung up. Mojo installer on iOS 10 is one of the popular alternatives of Cydia. 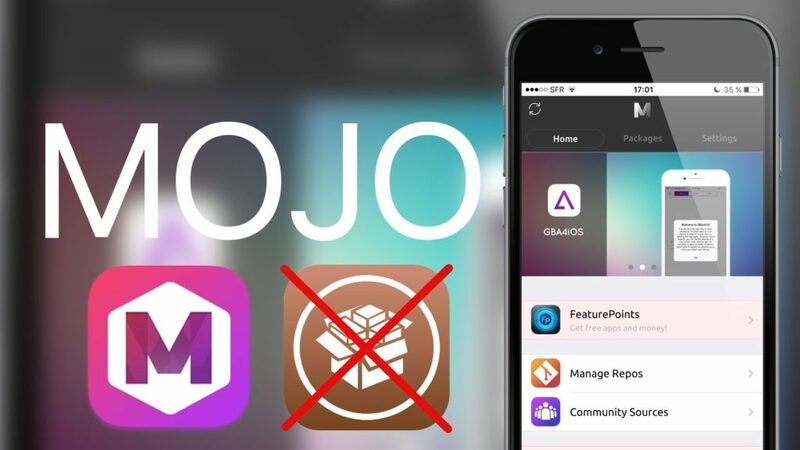 Once you install Mojo installer on your iOS 10 iPhone or iPad, you can install most of the free and popular tweaks and emulators for your devices. For instance, with Mojo installer on iOS 10 device you can install iNDS, AirShou, GBA4iOS (new GBA4iOS aka Delta Emulator) and iOS 10 Beta Profiles. These are just a few examples of the apps and tweaks you can get if you install Mojo installer. You can enjoy the following of Mojo installer on your iOS 10 devices. You can add custom repositories in your Mojo installer on iOS 10 devices. Mojo installer comes with an account manager that lets you create a repo of your own. You can manage your repo without having any knowledge of coding. There are featured packages in Mojo installer that are recommendations from the developers so you don’t have to choose from so many tweaks. Mojo installer for iOS 10 is easy to navigate due to its simple and user friendly interface. Another great feature of Mojo Installer is that it doesn’t require you to stay online all the time. You can use Mojo Installer on your iOS 10 iPhone or iPad even in offline mode. It is quite easy to install Mojo Installer on your iOS 10 iPhone or iPad. You don’t need a jailbroken device to install Mojo installer on your device yet it gives you some of the freedom afforded by jailbreak. Open Safari on your iOS 10 device. Select the Build Custom Profile option. Now you will be required to tap Install several times. You will go back and forth multiple times, taping Install or Trust, whichever appears. After a few times, you will find icon for Mojo Installer on your home screen. 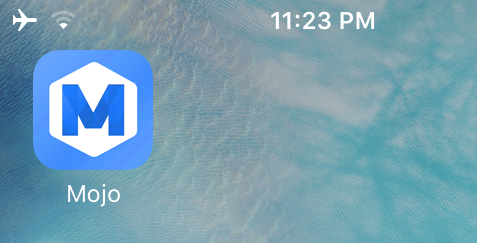 From the home screen, launch Mojo installer on your iOS 10 iPhone/iPad and let it update its software. It will take some time to refresh its packages and then you can choose anything you want to install from it. You’d be surprised to see PP/Pangu Jailbreak for iOS 9.3.3 in Mojo Installer as well. This means you can jailbreak your device with iOS 9.3.3 without using computer if you install Mojo Installer on an iOS 9.3.3 compatible device.